Soho might just be the best area in London for lunch. 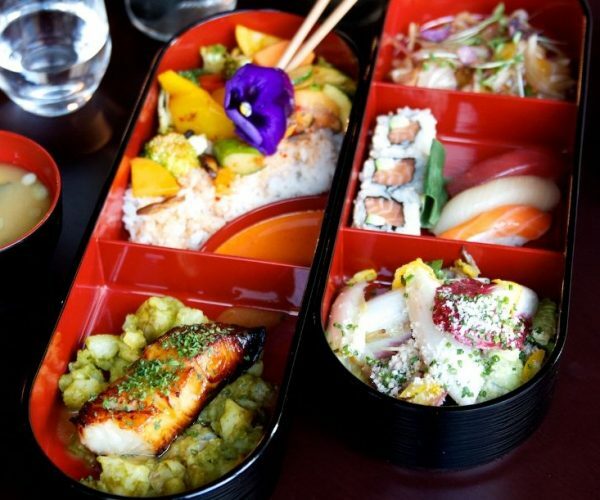 Though Soho is bursting to the seams with late night eateries, the unparalleled volume of surrounding offices and hungry-trendy-media folk has encouraged some of these venues to open their doors earlier and provide tasty treats for the lunchtime rush. 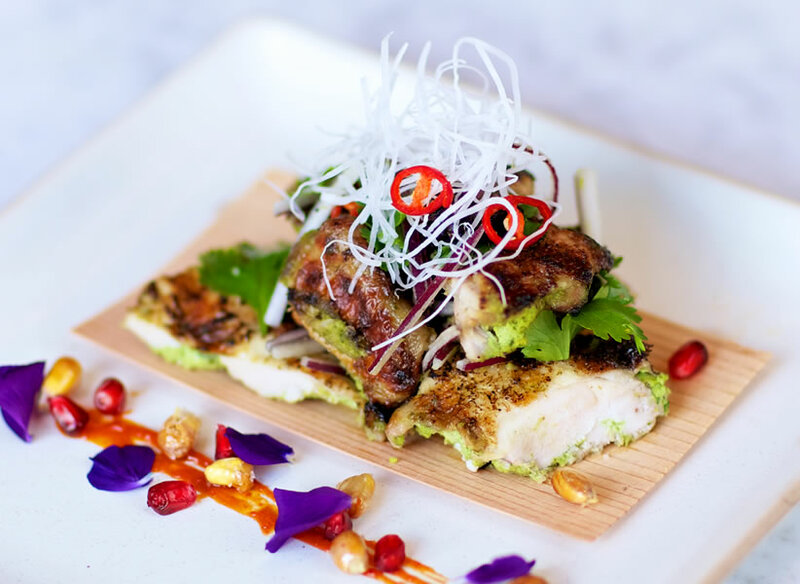 Given the variety of companies that call Soho their home, the sheer volume of restaurants that occupy the same post-code can provide the perfect lunch for any occasion. 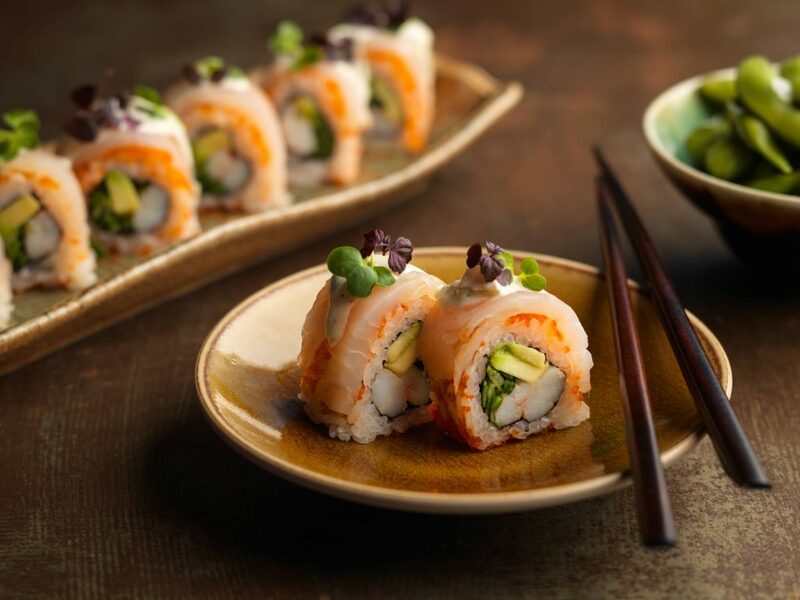 Whether it’s a client lunch, friends meeting up, lunchtime mate date, or even a romantic lunch; Soho has you covered. This is great, if you have time, but too much variety can become rather time consuming (particularly if you only have an hour to stuff your face). 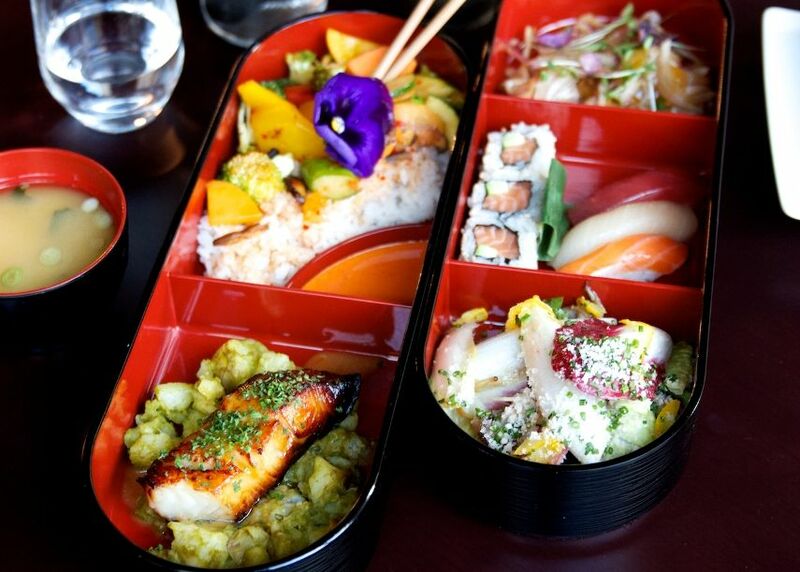 I mean – compact places, like Hoxton Square, are a lunchtime delight. You could have a pretty solid overview of the places on offer in a 10-minute walk. Soho, on the other hand, isn’t as kind to your ankles or time. The perfect solution to this is the multi-faceted restaurants – those safe-bets that go down well, regardless of the occasion. The sort of place that takes walk-ins and bookings (the latter being a rarity amongst new London restaurants, as of late), elegant enough to impress a client, cosy and warm enough to woo a date and with the right sort of atmosphere that makes lunching with friends or colleagues a lively and fun experience. Chotto Matte, one of the latest restaurants to enroll in the Asian-Latin American fusion (Chotto Matte has chosen to marry Japan and Peru) school of cooking, claims to be such a place so I thought I would put it to the test and picked the perfect lunchtime accomplice. A friend who also happens to be my business partner – I thought I would try and kill two birds with one chopstick. On approach, Chotto Matte isn’t the most welcoming of venues. The jet-black exterior, coupled with the lightly tinted windows has an exclusive vibe about it that resembles somewhere Jordan Belfort may visit to meet with his tax lawyer. On entry, however, you are met with a venue that encompasses a multi-functioning restaurant. Full regulation bar with waist-coated bartender, private dining rooms, charming waiting staff, a vibrant main dining area, open kitchen and seating that can be easily manipulated to accommodate any party size. 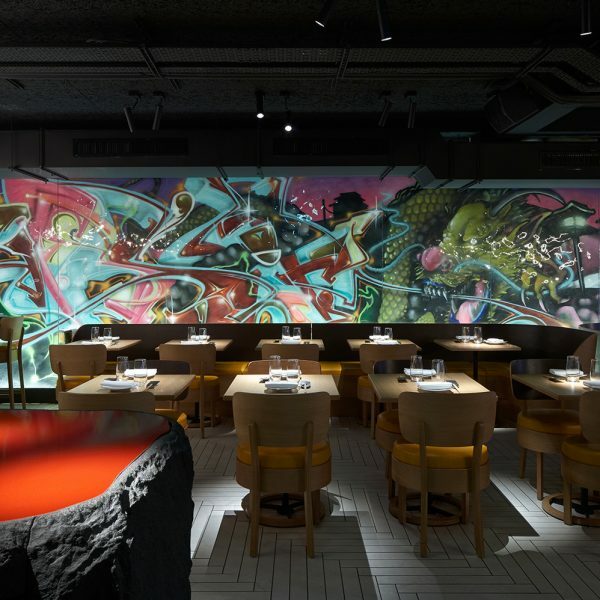 A large graffiti style mural is a reminder of where you are, the broadsheet sized menus and open kitchen reminds you of the cuisine you have chosen. 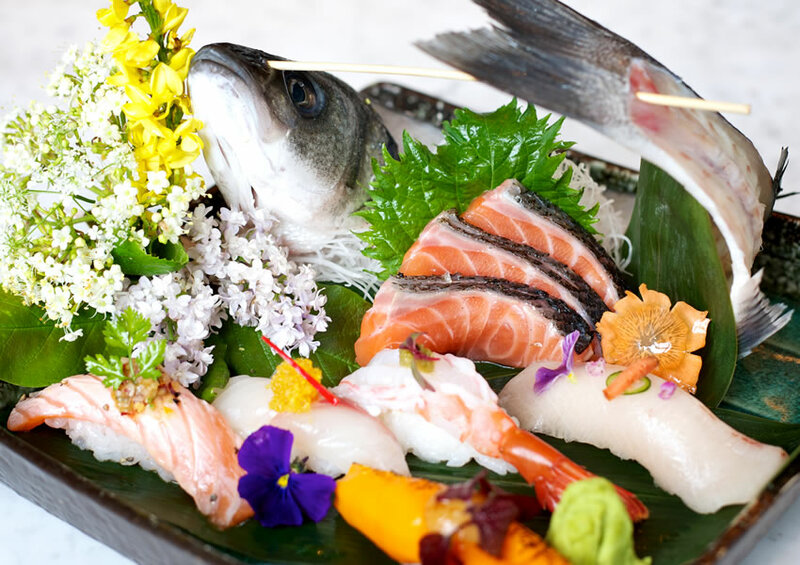 We take our seats directly next to the open kitchen, where we have front row seats to a sushi preparation master class. This provides two great benefits – 1) You get a constant train of ready-made food recommendations, straight from the kitchen 2) You get a constant train of food, straight from the kitchen. After all, it’s lunchtime; we have an hour to order, eat and leave; and choosing Chinese food can take hours, at the best of times. Do you go for one of the two set-lunches? Am I ordering dishes to pair with beer, wine or martinis? Am I having a noodle or rice heavy meal? Am I going healthy or getting the ribs and duck rolls? Well here’s what we decided on. We placed our orders and told the waiter to roll them out once they were ready. Here’s how we went. 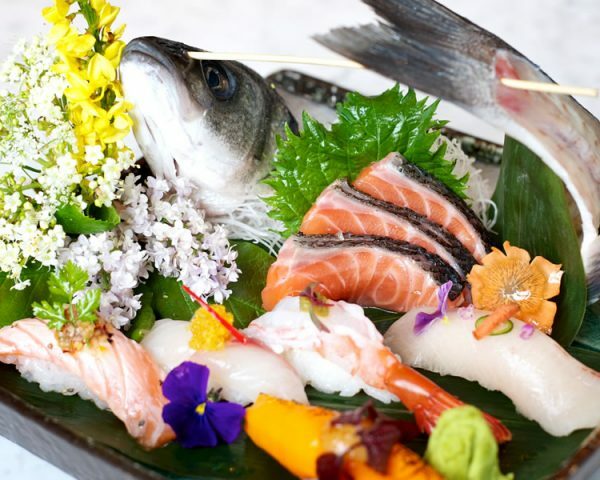 We started with the twelve Piece Sushi/Sashimi Set (Sashimi Salmon, Seabass, Prawn, Tuna and Shrimp; and Tuna Sushi Cut Roll) – this was a great yet purposefully understated start. Almost like the warm-up act before a comedy show – it excited but doesn’t try to steal the show. Next up came highly recommended by the staff – Ebi Harumaki W/ Ponzu Salsa (Prawn Spring Roll, Shitake Mushrooms, Yuzu, Shisho and Ponzu Salsa) – this was easily one of the best dishes (we may have ordered three rounds of this). Great with out without the incredible salsa, you could happily have an entire meal of this as a more than satisfying lunch. Scallop Tiradito followed (Scallop Sashimi, Coriander, Jalapeno, Black Salt, Lemon and Lime Juice). This dish was undoubtedly prepared very well but was just not for me – I definitely prefer my scallops seared, as opposed to raw. Next up was Barriguita de Chanchito (pork Belly, Nashi Pear, Yellow Tomato Salsa, Peruvian Chilli). The only version of pork belly that isn’t brilliant is when it’s burnt to a charcoal – this wasn’t and was delicious. The sort of dish you hope comes in an odd number so you can scoff down more than your fair share. Given that it was just lunchtime, I only had one vodka martini. It was a solid example of my favourite drink but lunch time is never an appropriate time get on the martinis. Alternatively, there’s a great wine list with plenty of great wines available by the glass. A very encouraging sign, should you want to dine at night, when alcohol is more appropriate. The food wasn’t the only excellent thing on show at Chotto Matte – the staff were also a real delight. They seemed to be real fans of the restaurant – their faces lit up with excitement every time we asked for suggestions. The final piece to a very well put together machine. For time-conscious lunchtime customers, there is also the new Quick Lunch Menu available, which features donburi, bento and sushi sets, and can have you on your way again in less than forty minutes! 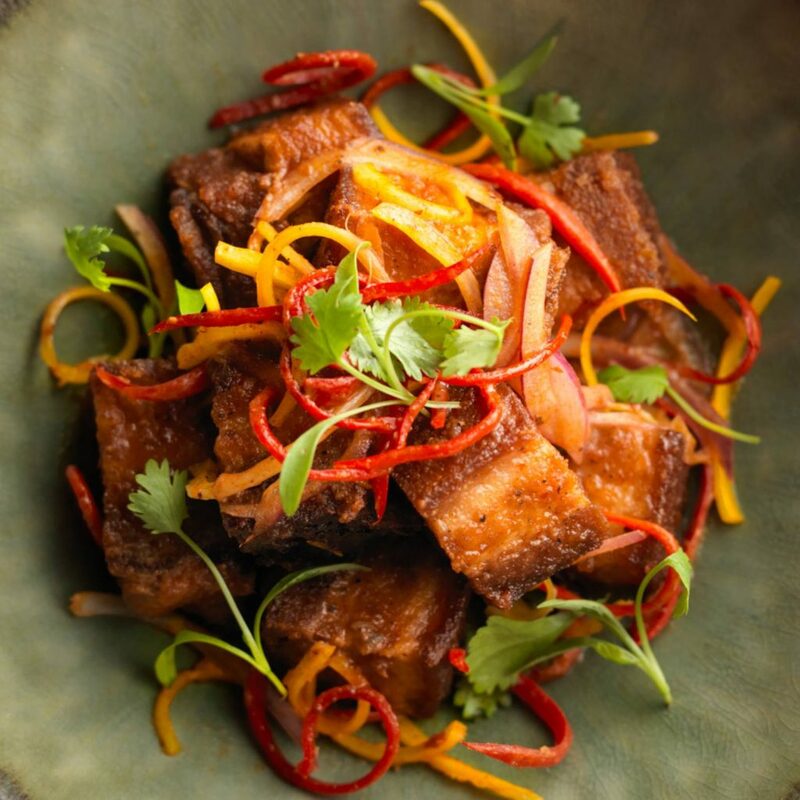 Asian food isn’t exactly a new phenomenon in London and for a place to stand out it really has to offer something new or execute the expected extremely well. Chotto Matte is a little bit of both. 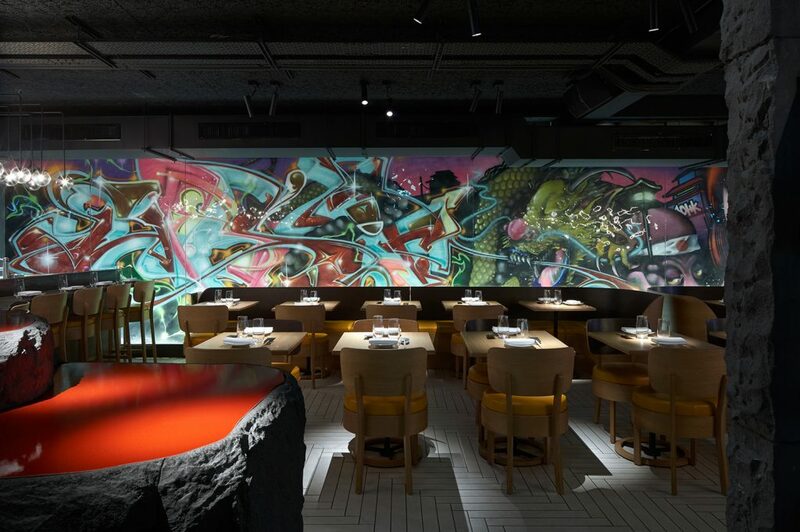 A well-put together blend of your everyday Soho based Asian restaurant with some modern and hip touches thrown in. Though we were just there for a quick ‘business’ lunch it didn’t seem as though there was any occasion Chotto Matte could not accommodate. A good time is assured whether my accomplice was a princess, pauper, parent or pal.